The Farmers Market is Back With a New Twist! I was beginning to wonder if we were going to have the Farmers Market back or not since Memorial Day came and went and no sign of a market until the middle of last month. Clinton, Maryland based Miller Farms had the “corner on our market” for several years and they did a stand up job, however, there were several items that definitely weren’t “locally” produced among their wares. 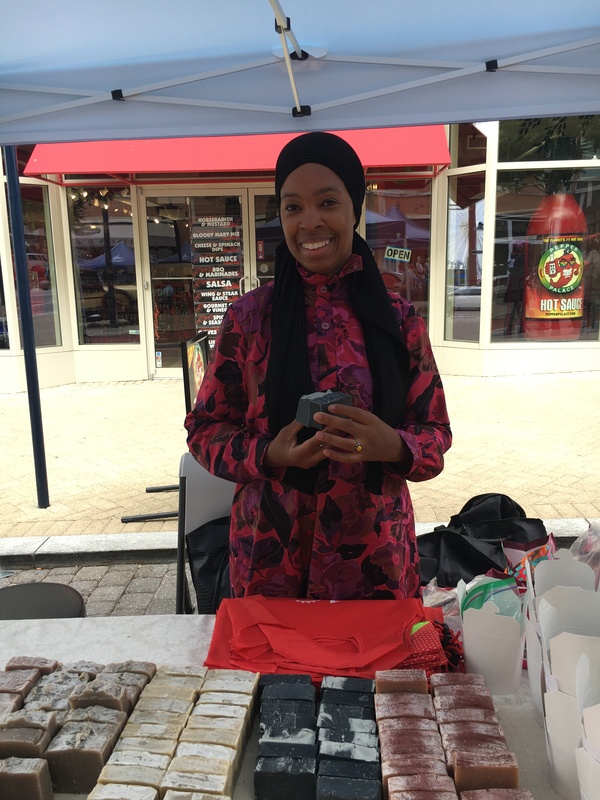 This year National Harbor announced that it has formed a partnership with Community Foodworks to manage the weekly Farmer’s Market. Unlike Miller Farms who was open both Saturday and Sundays, the market will only be open on Sundays from 11 a.m. to 3 p.m. and will also continue through December 23rd instead of ceasing in October. It will be comprised of several different vendors during the course of the season. Vendors that were on site in June included Pleitez Produce, a family-owned farm in Montross, Virginia with over 25 years of experience growing high-quality produce; Drumheller’s Orchard, a fifth generation family farm bringing fruits from Nelson County; Ravenhook Bakehouse, a European-style bakery producing artisan breads, pastries and fun in Washington, D.C.; Groff’s Content Farm, providing beef, lamb, pork, goat, broiler chickens, turkeys and duck and chicken eggs from a historic farm in Rocky Ridge, Md. ; and Shrub District with cocktail vinegars handmade in D.C. and crafted seasonally. JustJuice will join the vendor line up on June 30 with health-conscious smoothies from founder Benjamin Hunt. 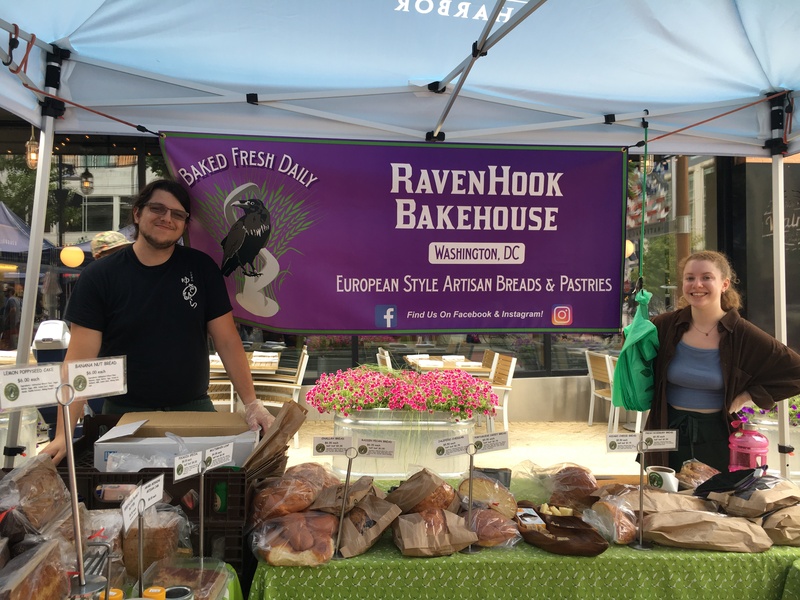 Nick Stavely, general operations manager for Community Foodworks added, “We’re very excited to bring fresh local food to the National Harbor community. 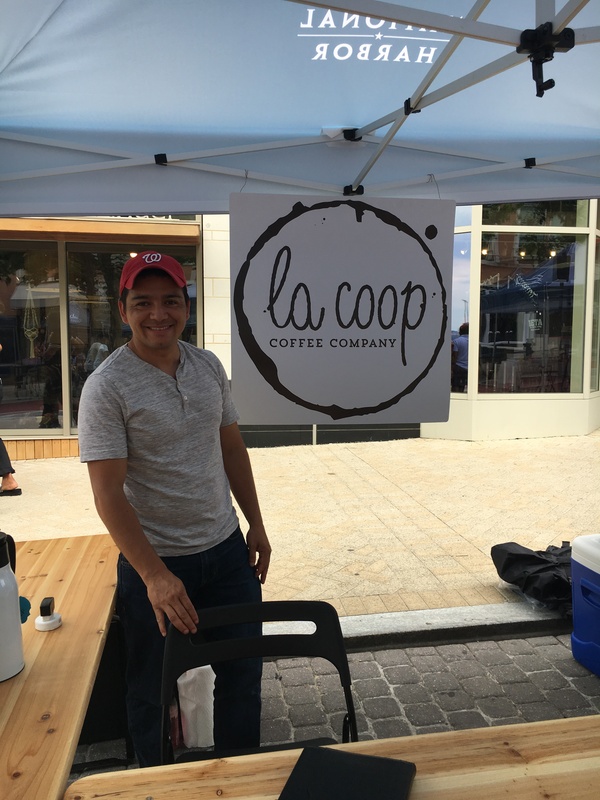 We’ll have a cast of local farmers and food producers for fresh produce—apples, locally-baked breads, humanely-raised meats and dairy products, as well as coffee, eggs and more. Community Foodworks is proud to work with local producers and farmers to bring local food to National Harbor and support local businesses and family-owned farms. The Market is located in the same place on American Way between Waterfront and Fleet streets. For more information on the National Harbor Farmer’s Market, visit www.nationalharbor.com/farmers-market. Everyone who has been reading this column knows how much I love living in the Harbor. 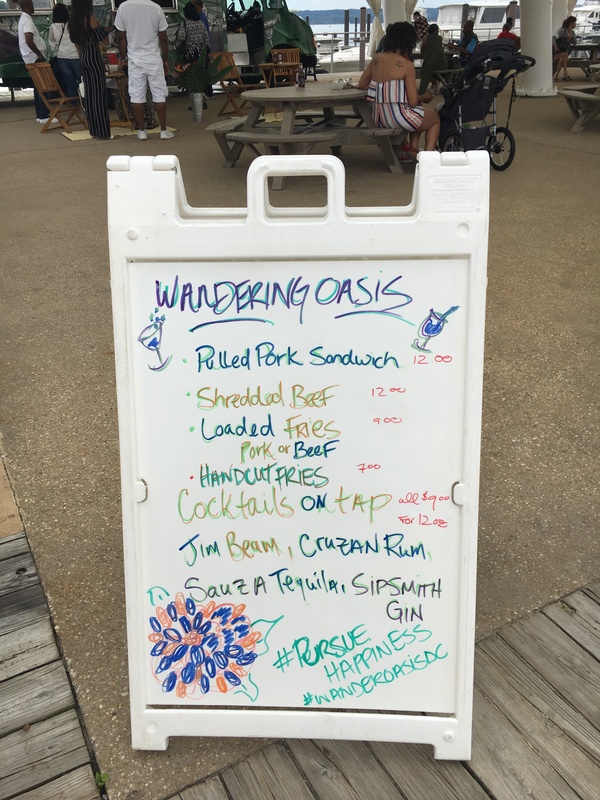 I didn’t think it could get much better when they started the Friday Night Fun on the plaza but….now we have the Wandering Oasis food truck. This really is a fun addition to our food and beverage choices this summer. It is a very funky, tropical themed food truck offering pulled pork and shredded beef sandwiches, hand cut fries that can also be topped with said pork or beef and cocktails on tap! Yes, you read that correctly…cocktails on tap. For a mere $9 you can sip on 12 ounces of adult beverage concocted to your liking from Jim Beam Bourbon, Cruzan Rum, Suaza Tequila or Sipsmith Gin. I am a little surprised that there isn’t a vodka on the menu but maybe I can sweet talk them into adding it as the summer goes on! You gotta come over on the weekend and check it out!